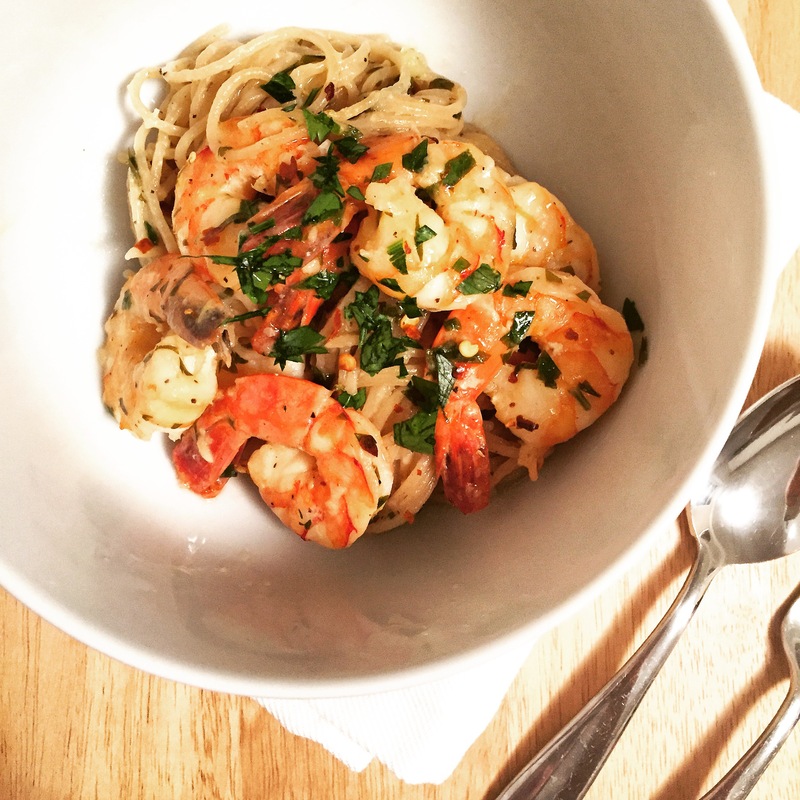 This recipe is delicious and comes together quickly for the perfect weeknight dinner. Mis en Place. ‘Mise en Place’ is a French phrase meaning, putting in place. Chefs/cooks refer to this term when organizing and preparing ingredients required to cook a dish/meal. This dish is fast & super easy to make, especially if you cut, measure & organize your ingredients before starting. Mince the garlic, zest and juice the lemon… you get where I’m going with this. Once all the tedious steps are done, this recipe will fly by. If using pasta, perform the marriage. If you watch Anne Burrell’s ‘Secrets of a Restaurant Chef’ on Food Network, you’ve heard her talk about the ‘marriage’ between pasta & the sauce you coat it in. While your sauce cooks/heats in a large pan, she says to add al dente pasta straight from it’s boiling water to the pan & toss to coat. I didn’t think this step would make a difference but after trying it, I am a total believer. Using tongs (for longer pasta like spaghetti) or a slotted spoon (for shorter pasta like ziti) to transfer the pasta to the pan of sauce, drains it without totally drying it out. The little bit of hot starchy water coating the pasta makes it easier for the sauce to grip and fall into each nook and cranny. Rarely do I make homemade pasta sauce, but this tip works if you simply warm your favorite sauce in a large pan. While I didn’t use cheese in this recipe, the marriage of pasta and sauce becomes even stronger if you add grated cheese! Place a large pot of water over medium-high heat. 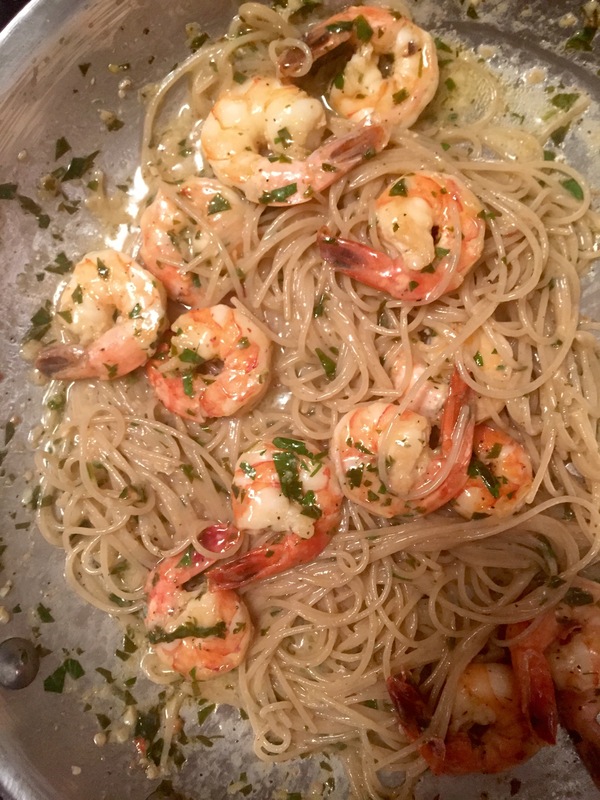 Keep an eye on the water while cooking the shrimp/sauce. Once it comes to a boil, add a generous amount of salt then the pasta. Cook until al dente - or slightly under cooked. Place a large pan over medium heat. 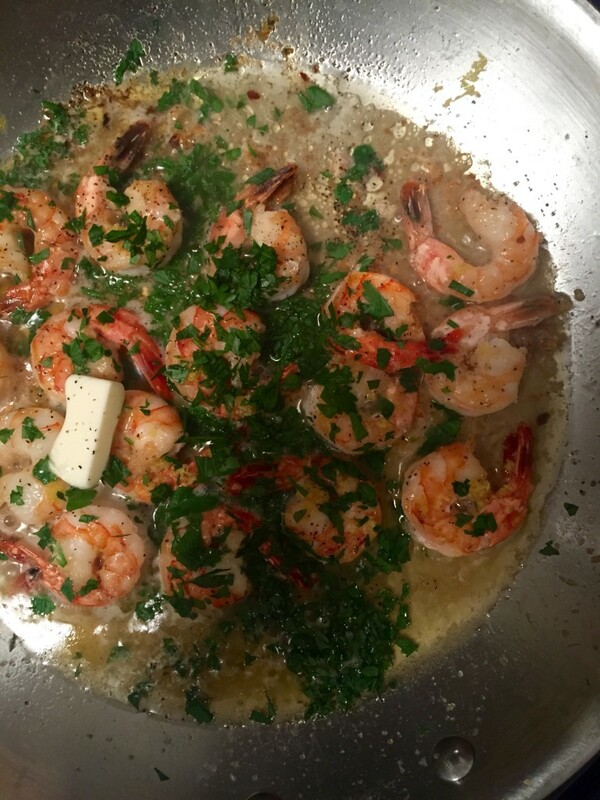 Once the pan is hot, add the EVOO and 3 tablespoons butter. Once the butter has melted add the garlic & cook until fragrant, about 1 minute. Add the shrimp in a single layer and cook until they begin to turn pink, about 2 minutes. Flip then cook on the other side until completely pink. Add the lemon zest and juice, season with salt and pepper, then lower the heat to medium-low. Add half the chopped parsley and the last tablespoon of butter. Once the pasta is cooked to al dente, add it to the sauce/shrimp. Toss together until the sauce completely coats the pasta. If the sauce is too thick or you need more, add the reserved pasta water one tablespoon at a time until desired consistency. 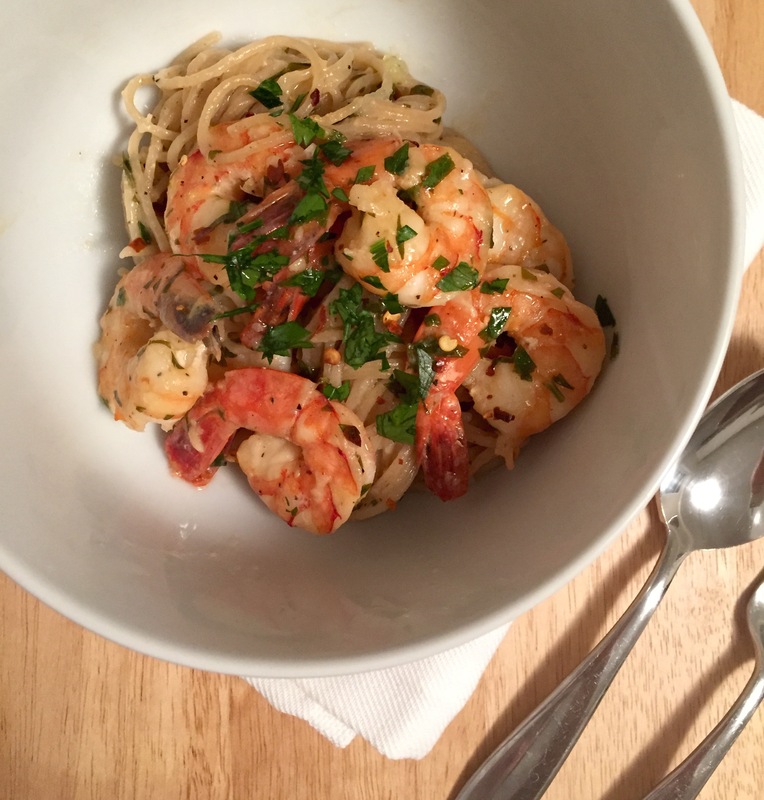 Top with additional parsley while tossing the pasta, if desired. Turn the garlic to paste - This helps avoid biting into an overwhelmingly sharp chunk of garlic. To do this, I lay the garlic clove on my cutting board and crush it using the side of my knife. This technique allows the oils to release and helps the clove separate from its ‘skin’. Next, I mince the garlic as finely as possible before sprinkling a pinch of salt on top. Finally, I use the side of my knife to press down on the minced garlic/salt mixture until the garlic turns to a paste. The paste will make a world of difference by evenly distributing the garlic flavor throughout your dish.